In recent years, the number of attacks on the computer network is voluminous. Secure data communication over the network is always under threat of intrusions. To protect from these attacks various intrusion detection techniques have been developed. Anomaly detection system detects the novel attacks based on deviation of the behavior of packets from the normal flow and Signature detection system detects known attacks based on stored signatures. We have proposed a Distributed collaboration detection scheme that combines the advantages of Anomaly and Signature based method by capturing the packets in real time. The uninteresting traffics are filtered by packet filtering and further normalization. 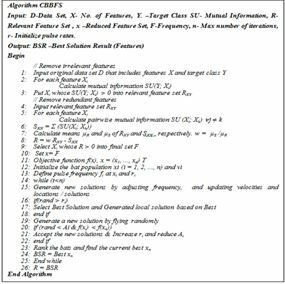 The relevant features are selected based on our Correlation based BAT Feature Selection (CBBFS) Algorithm. Our Proposed Efficient Behavioral Prediction (EBP) scheme analyzes the episodes and classifies the attack based on EGSSI. Then Proficient Ordinance Generation (POG) for Inspection of IP Phase labels the IP as trusted or untrusted. 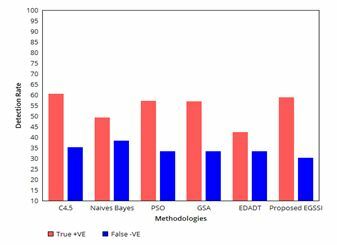 Our proposed framework outperforms the results of existing classification algorithms (C4.5, Naive Bayes, PSO, GSA and EDADT) by reducing the rate of false positives. The emerging trends of internet cause so many security issues and it becomes a major challenge to administrators. The attacker forward malicious packets to the target machine thereby steal, modify or corrupt secret information by breaking the security and also evade the Firewalls present in the network. So, we have to develop new security models to safeguard the availability, confidentiality and integrity of information systems. Immediate detection and reporting about the intrusions are essential to protect the system before the attacks spoilt it. Intrusion detection System (IDS) could be a mechanism or that supervises the malicious activities of user and constructs reports to a management station. They operate by analyzing current system events, either at the host level (HIDS), the network level (NIDS), or both. IDS will be classified into two categories; Anomaly and Signature based detection. In Anomaly based detection, the normal user behavior patterns are profiled. The incoming packets which deviate from this normal behavior pattern are identified as intrusions. It can detect novel attack but it is very complicated to develop and decide the normal behavior patterns. In contrast, the Misuse or Signature based IDS have a collection of signatures stored in a database. The incoming packets are compared with the signatures from the database and the matched signatures are identified as intrusions. This signature based IDS are very effective but it identifies only the known attack . Hence we go for hybrid intrusion detection which improved by pre-processing and hybrid detection model. The rest of the paper is organized as follows: Section II will discuss the Review of the proposed methods, Motivation of this system is described in section III, section IV says the proposed work, and section V says the performance evaluation and section VI ends with the conclusion and future enhancement. Many approaches have been studied to detect, prevent and mitigate malicious network traffic. For example, rule-based approaches, such as SNORT, try to apply previously established rules against incoming traffic to detect and identify potential DOS attacks close to the victim’s network. To cope with novel attacks, however, IDS tools such as Snort require to be updated with the latest rules. This paper looks at the problem of designing generalized measurement based real-time detection mechanisms. Measurement-based learning have considered traffic dimensions , , , number of flows  as probable signals that can be evaluated in order to spot anomalies in network traffic, while we further indulgence the traffic headers such as addresses and port numbers. Work in  relies on input data from multiple sources (i.e., all links in a network), while our work focuses on a single link at a time. Some approaches proactively seek methods to suppress the overflow of traffic at the source . Controls based on rate limits have been adopted for reducing the monopolistic consumption of available bandwidth, to diminish the effects of attacks, either at the source or at the destination . The apparent symptoms of bandwidth attack may be sensed through monitoring bit rates  and/or packet counts of the traffic flow. Bandwidth accounting mechanisms have been suggested to identify and contain attacks. Packeter  and others offer commercial products that can account traffic volume along multiple dimensions and allow policy-based rate control of bandwidth. Pushback mechanisms have been proposed to contain the detected attacks closer to the source. Trace back has been proposed to trace the source of DDoS attacks even when the source addresses may be spoofed by the attacker . Data mining technique has been wide applied within the network intrusion detection system by extracting useful data from sizable amount of network information. During this  paper a hybrid model is planned that integrates Anomaly based Intrusion detection technique with Signature based Intrusion detection technique is split into two stages. During this  paper we’ve enforced the signature-based Network intrusion detection exploitation Snort and WinPcap. The paper  illustrates the idea of detecting the DoS Attack. There are many methods available to Detect and avoid the DoS attack. This paper mainly deals with the DoS attacks. In this  project this pattern matching is based on the regular expression where as these pattern of known attack are stored in the database of Intrusion Detection System. Regular Expressions are often used to describe malicious network pattern. In this  work, we identify the intrusion by capturing the real time network traffic by using Snort and perform the detailed analysis on the captured packet using network monitoring tool called Wireshark. It detains the real traffic from the wired or wireless intermediate and carries out the intrusion detection on snort. Our approach to detecting anomalies envisions two kinds of detection mechanisms, i.e., investigation and real-time modes. An investigation analysis may exploit many hours of traffic data as a single data set, employing more rigorous, resource-demanding techniques for analyzing traffic. Such an analysis may be useful for detection in engineering purposes, analysis of packets and its usage, understanding header data, etc. On the other hand, real-time analysis would concentrate on analyzing a small window of traffic data with a view to provide a quick and possibly dirty warning of impending/ongoing traffic anomalies. Real-time analysis may rely on less sophisticated analysis because of the resource demands and imminence of attacks. The proliferation of heterogeneous computer networks has serious implications for the intrusion detection problem. Foremost along with these suggestions is the increased prospect for not permitted access that is afforded by the network’s connectivity. The difficulty is aggravated when dial-up or internetwork access is allowable, as well as when unmonitored hosts (viz. hosts without audit trails) are present. The employ of distributed rather than centralized computing possessions also implies reduced organize over those resources. The multiple self-determining computers are likely to produce more audit data than a single computer, and this audit data is isolated among the various systems. This paper intended that inspecting and identifying the network intrusion by capturing the network traffic in real time. The network monitoring and packet capturing is performed by our proposed framework “Distributed Collaboration Detection (DCD)”. This framework incorporates with the pre-defined rules that permits and monitoring the captured packets header and the status of the network. The packets are pre-processed by filtering based on some criteria and further normalization. Then feature reduction is done by our algorithm which efficiently selects the best features. The reduced features form a feature vector. 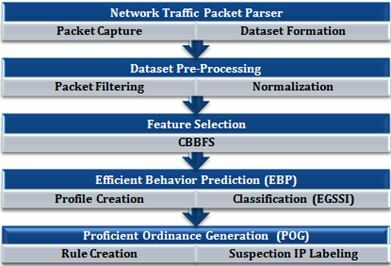 The Efficient behavioral prediction scheme creates a profile which includes normal and attack behavior of the incoming traffic flow and classifies the suspected packets. The suspected packets are then passed through the set of rules to confirm the intrusion. This hybrid model efficiently identifies the intrusions both profile based and rule based methods. . Figure 1 depicts the proposed architecture of the Intrusion Detection based on Distributed Collaboration Detection (DCD) Framework. Packet sniffer collects raw binary data from the wire. Typically, this is done by switching the selected network interface into promiscuous mode. Our approach is based on the observation of the numbers of packets collected from the card’s interface of network equipment that is likely to have strong patterns of behavior over time. The captured packets are stored in a database in an appropriate format for further analysis. The objective of this paper is to set up a test network for generating normal as well as attack network traffic and capture the traffic in terms of packet as well as flow modes in isolated environments. The captured traffic will be filtered, pre-processed, analyzed. Remove packet which has packet size less than 250bytes. The non-IP packets like ARP, STP, etc., are filtered because the non-IP packets do not have any content in it. They are just a Broadcasting Packets. Therefore, there is no need to focus on those packets for intrusion and we have removed those packets from further processing.UDP packets with higher port (>1023) is removed because an untrusted user may be interested to formulate applications using these ports. (The first 1024 ports are restricted ports or standard ports like HTTP, FTP, etc.). Where SIPA = Source IP address nibble, where x = [1-4]. Four nibbles constitute the full source IP address SP = Source Port number DIPA = Destination IP address nibble, where x = [1-4]. 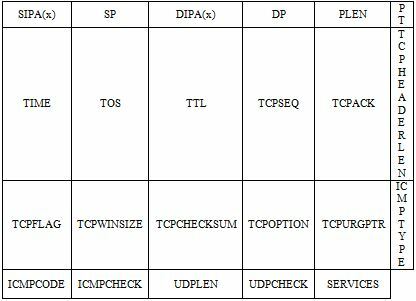 Four nibbles constitute the full destination IP address DP = Destination Port number, PLEN = Packet length in bytes,PT = Protocol type: TCP, UDP or ICMP. The normalization is the process of renovating the filtered network traffic packets into nominal dataset.Ordinal normalization is to rank the continuous value of anattribute and then normalize the rank into [0, 1]. Clearly, ordinal normalization also ranges the values of anattribute into [0, 1]. In this paper, we do not increase the rankif some values of an attribute are the same. IDS need to examine very large data with high dimension. Due to this, it suffers from low detection rate and huge computations. Feature selection select the feature subset of original feature that retains the high detection accuracy and improves the training and testing time that helps to build efficient IDS which is pertinent for the real time. In this work, the CBBFS approach is used to obtain the essential feature (field) selection of the network traffic packets by using the fusion technique of Correlation Based BAT Feature Selection (CBBFS) Algorithm.The Correlation Feature Selection (CFS) measure evaluates subsets of features on the basis of the following hypothesis: ”Good feature subsets contain features highly correlated with the classification, yet uncorrelated to each other”. The main characteristics in the BA are based on the echolocation behavior of microbats. As BA uses frequency tuning, it is in fact the first algorithm of its kind in the context of optimization and computational intelligence.The algorithm (CBBFS) mainly consists of two parts for achieving the goal of reducing dimensionality of the original feature space. In the second part, the algorithm represents that each bat is encoded with a velocity vti and a location xti, at iteration t, in a d-dimensional search or solution space. The location can be considered as a solution vector to a problem of interest. Among the n bats in the population, the current best solution x∗ found so far can be archived during the iterative search process. The main objective of the bat algorithm can be summarized as follows: It would initialize, generate the initial features and determine the best solution from the features set. Virtual bats are moved in the search space according to updating rules of the bat algorithm and the best feature solution is enhanced by random walks. SORADD (Source Address), DESADD (Destination Address) and DESPORT (Destination Port) fields are significant for all the packet transaction. Every packet transaction acquires a protocol for communication. In this context, three various protocols are selected for the communication such as TCP, UDP and ICMP. The TCPFLAG field is the combination of syn, ack, rej flags combination that decides the status of the current packet. SERVICES field contains telnet, ftp, ecr_i, etc. In this phase of EBP, the prediction model is presented by profile creation and classification models to predict the attack. The prediction model detects the suspected network IP by the following conceptions. Our Proposed Detection Engine has some procedures to find attacks such as Aggregation and Compute Threshold for profile creation. The process of profile creation is employed into two form namely Single connection derived feature aggregation (SCD) and Multiple connection derived feature aggregation (MCD).SCD based aggregation is obtained by single source and destination pair. 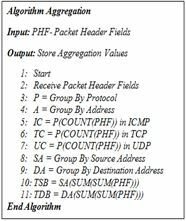 MCD based aggregation is obtained by considering overall packets grouped based on protocols. Sophisticated attack traffic may not be distinguishable from regular traffic on an individual packet basis and the individual packets cannot be used to identify unusual trends or patterns over time. So we go for aggregation based on 2 minutes window. The Packet Header Data which is stored in Database within the time limit of 2 minutes are aggregated based on the Formula. We the Threshhere A(x) is the aggregation value of x, x is the number of packets based on the protocol (TCP, UDP and ICMP) and k is the total number of packets transaction from every 2 minutes window. This equation (1) calculated the aggregation value based on the traffic flow between individuals. This assessment is further useful to calculatold value. 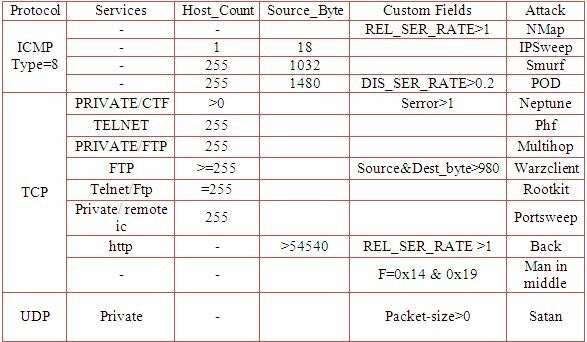 Table 4 depicts the resultant aggregation fields for measuring the performance of packets transaction. Threshold is a minimum or maximum value established characteristic of the traffic flow over the network which serves as a benchmark for guidance of which may term for a complete assessment of the situation of the packet flow among the network. If numerical constraints of network traffic, such as mean and standard deviation, are inactive disseminated under given traffic, thresholds of an explicit day could be useful to other days. It is generally known that traffic volume exhibits diurnal periodicity, which can be extracted by approximation coefficients. After calculating the aggregated values of the traffic flow, we go for calculating the Threshold value to accomplish the next level of prediction. The aggregated values are averaged based on the number of incoming packets to compute the threshold. The Packet flow which crosses this threshold values are suspected to be an Intrusion attack. If there is a drastic change or any flooded traffic in the network, then definitely the heavy load affects the Threshold value. Thus this scheme, computes threshold value for every TCP, UDP and ICMP packets to measure standard measurements in predicting the traffic flow of packet declaration. Where λ(x) is the threshold value of various communication protocols (TCP, ICMP and UDP), A(x) is total number of aggregation value count for a particular protocol, n is the number of total aggregation value based on the protocol, y is the total number of value count in the aggregation table, i is the number of iterations based on the total number of values and xiis the sum of aggregation values in the aggregation table based on protocol. In a practical system, known attack-free training data will not always be available as it is in our Data set. If the training data contains attacks, then the anomalies that it generates will be added to the model of “normal” traffic, so that future attacks of the same type will be missed. We could use a shorter 10 training period to reduce the probability of training on an attack, but this could also reduce the set of allowed values, resulting in more false alarms. We performed experiments to answer two questions. First, how much is performance degraded by using a shorter training period? Second, how much is performance degraded due to the hidden result, where training on one attack type hidden detection of other attacks. To answer the first question, we reduced the training period from 7 days (week 3, days 1-7), to 1 or 5 days. To answer the second question, we ran our framework in on-line mode. For each test day, we used the previous day’s traffic for training. In testing, the training data therefore enclosed attacks. The sample training data are shown in Table 6. This depicts the total count of ICMP, TCP and UDP packets, total number of packets and the category of the packet class. In this, the category type with 0 denotes the normal packets and the category type with 1 denotes abnormal packets. In this phase, the classification of network IP of the captured packet headers is processed for the inspection of the intrusion detection. The network IP based on the suspected packets with protocol class is categorized as training data is used for the classification. This training data set is instructed to the classifier to test the framework to inspect and classify the network traffic packets. In this paper, the classification metrics and prediction of the suspected IP are obtained by the PSO with GSA. In this paper, we hybridize PSO with GSA using low-level co-evolutionary heterogeneous hybrid, because we combine the functionality of both algorithms. It is co-evolutionary because we do not use both algorithm one after another. In other words, they run in parallel. It is various because there are two different algorithms that are concerned to make final results. The essential idea of EGSSI is to combine the capability of social thinking (gbest) in PSO with the local search capability of GSA. 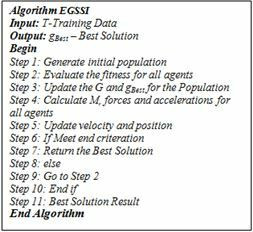 The steps of EGSSI are represented in figure 6. In EGSSI, at first, all features are randomly initialized. Each feature is considered as a candidate solution. After initialization, Gravitational force, gravitational constant and resultant forces among agents are calculated. After that, the accelerations of particles are evaluated. In each step, the best solution so far should be updated. Finally, the positions of features are defined and the process of updating normal and abnormal packets in the network traffic. The only conditions that do not equal exactly nearly equal. As an example, assume a certain rule states that an alert should be generated if a packet is a particular length, on a particular port and contained a certain bit pattern. Using this generation rule a packet matching those criteria, except perhaps on a different port, or with a slightly different bit pattern, would still count as matching, and a (modified) alert would be generated. The condition refers the affair in which a particular packet matches a rule in the IDS. The “check attack” can be seen as an action that needs to be performed based on the detected intrusion. This form of rule generation which satisfies condition by employing the various field values that differs on basis of protocol. The intact rule generation is depicted in the following hierarchy representation in Figure 7. When abnormal is discovered, the engine radios alarm information. If alarming message, which is collected contrary to POG from EBP, arrived the predestination threshold, EBP was sure that POG was the intrude node. In this phase, the inspected network IP is suspected IP that gratifies the attack rule generated and labelled as trusted and untrusted IP which would reduce the time complexity of the inspection of entire network packets. This IP labelling phase is employed to inspect these labelled IPs’ for the attack suspection instead of inspecting the entire network traffic IP that would condense the performance time of the detecting the intrusion. This section described the performance evaluation for the proposed system. Our implementation is in Core-i5 processer, 8 GB Ram, 10 Megabytes of training data and 5 gigabytes of test data in 364 seconds, or 1000 packets per second. The overhead is 23 seconds of CPU time per simulated day, or 0.026% at the simulation rate. 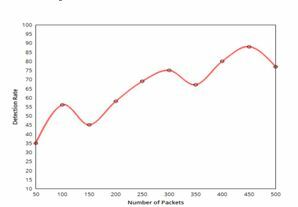 The performance of detection rate for number of packets, detection rate based on the existing methods and number of packets inspected within 5 days is shown as follows. Figure 8 depicts the detection rate of the traffic flow for the proposed system. This figure illustrates that the detection rate flows on sensible for various number of packets. The detection rate based on existing methods is depicted in figure 9 and figure 10. 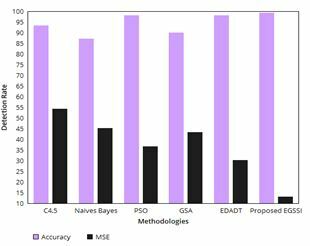 The figure defines that the detection rate of the proposed method provides high detection rate when compared with existing methods C4.5, Navies Bayes, PSO, GSA and EDADT . 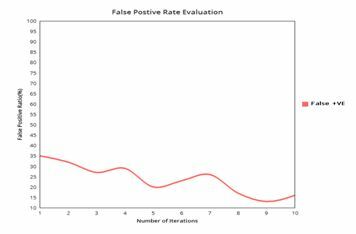 The performance metrics like Accuracy, Mean Square Error (MSE), True Positive and False Negative are evaluated to measure and obtain the best detection rate. Among these the proposed technique EGSSI provides good detection rate. 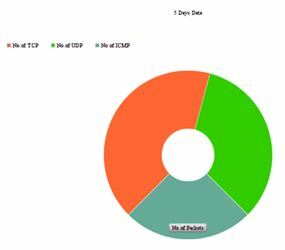 Figure 11 defines that the number of TCP, UDP and ICMP packets inspected within 5 days. The false alarm rate typically refers to the anticipation of the false positive ratio. Figure 12 depicts the false positive rate evaluation for the proposed methodology DCD. The figure defines that the DCD provides sensibly low rate of false positive by means of the number of iterations. We studied the feasibility of analyzing packet header data through DCD (Distributed Collaborative Scheme) Framework for detecting traffic anomalies. This framework filters uninteresting traffic and obtains significant fields that reduce the time complexity. Experimental results illustrate that statistical analysis of aggregate traffic header data based on Single IP and Multiple IP artefact afford an efficient mechanism for the detection of anomalies within a network. We studied the effectiveness of our approach in inquisition and real-time analysis of network traffic. Future system can be extended by incorporating Data Mining techniques to analyze the information in the packet content which may help in efficient decision making. This work can be extended by incorporating intellect into it in order to expand knowledge by itself by examining the growing traffic and learning new Intrusion patterns. A.Hussein, J. Heidemann, and C. Papadopoulus, “A framework for classifying denial of service attacks,” in ACM SIGCOMM, Aug. 2003. 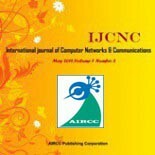 J. Singh, Manisha J. Nene, “A Survey on Machine Learning Techniques for Intrusion Detection Systems”, International Journal of Advanced Research in Computer and Communication Engineering Vol. 2, Issue 11, November 2013. D. Plonka, “FlowScan: A network traffic flow reporting and visualization tool,” in USENIX LISA 2000, New Orleans, LA, Dec. 2000. S. Floyd, S. Bellovin, J. Ioannidis, K. Kompella, R. Mahajan, and V. Paxson, “Pushback messages for controlling aggregates in the network,” IETF Internet draft, work in progress, Jul. 2001. Jaina Patel, Mr. KrunalPanchal, “Effective Intrusion Detection System using Data Mining Technique”,Journal of Emerging Technologies and Innovative Research (JETIR),Volume 2, Issue 6,June 2015. RashmiHebbar , Mohan K, “Packet Analysis with Network Intrusion Detection System”, International Journal of Science and Research (IJSR), Volume 4 Issue 2, February 2015. T.S. Urmila was born in Madurai, Tamilnadu, India. She received B.Sc Computer science and MCA degree from Madurai Kamaraj University, Madurai. She is pursuing the Ph.D. in Computer Science at Mother Teresa Women’s University Kodaikannal. She is having more than 12 years of teaching experience in Computer Science department. Her Research interests include supervised and unsupervised learning, intrusion detection, virus signatures, and pattern matching algorithm. She is also presented and published more than 10 papers in these areas. Dr. R. Balasubramanian has completed his Ph.D. in the year 1999. He is having more than 40 years of teaching experience and Research experience of more than 10 years. Now, he is working as Dean MBA/MCA in KarpagaVinayaga College of Engineering and Technology, Kanchipuram. He has published 14 papers in International Journals and 10 papers in National Journals. His areas of interest are Knowledge management, Network Security and Artificial Intelligence.